Orlando Cruz was born today, July 1, in 1981. He is a Puerto Rican professional boxer. As an amateur, he represented Puerto Rico at the 2000 Olympic Games in Australia. Cruz made his professional debut on December 15, 2000, against Alfredo Valdez in Puerto Rico. He was undefeated until 2009, when he lost to Cornelius Lock by TKO. Cruz is currently ranked at No. 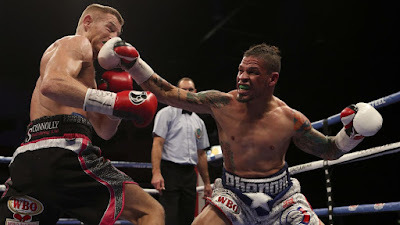 4 among featherweights by the World Boxing Organization (WBO). 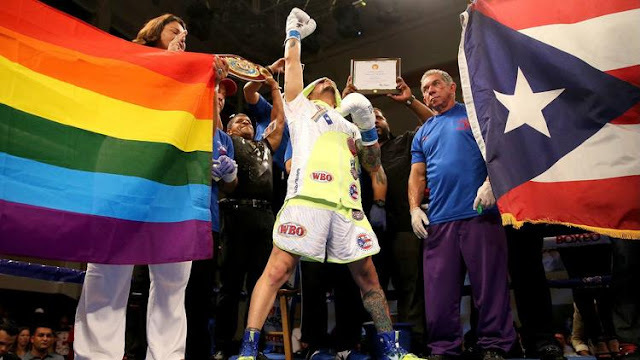 On October 4, 2012, Cruz became the first boxer to come out as gay while still active professionally, stating that "I have and will always be a proud Puerto Rican. I have always been and always will be a proud gay man." He won his first fight since coming out on October 20, 2012. He was among the first class of inductees into the National Gay and Lesbian Sports Hall of Fame on August 2, 2013. I did not know he is gay, how wonderful for gay kids in sports these days to have so many gay athletes coming out.